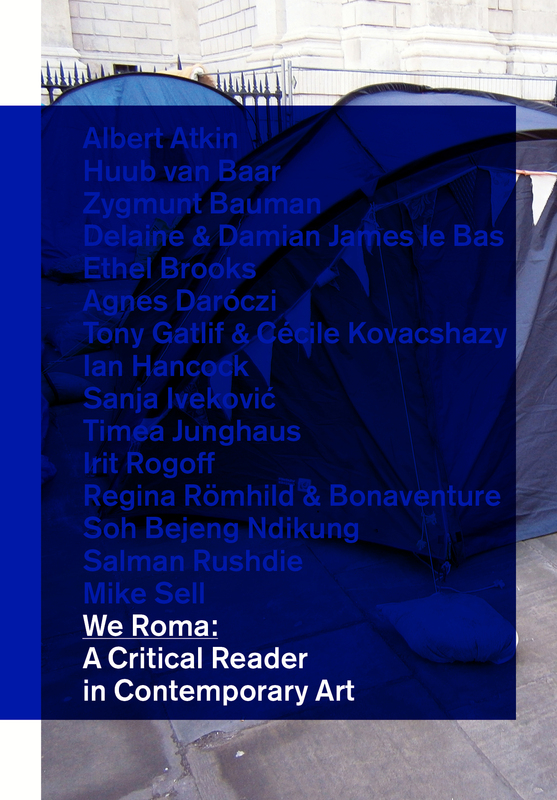 We Roma: A Critical Reader in Contemporary Art inquires into the contemporary moment through the lens of Roma artistic and intellectual practices, gathering knowledge from the Roma way of life. With the emblematic claim in the artistic imaginary “we Roma,” including in it wider society, the reader asks how we can invoke the possibility of a different world and alternative futures. Artists, theorists, writers, and activists—both Roma and non-Roma—speculate on such questions and the possibility of art to imagine the world otherwise. With contributions by: Albert Atkin (philosopher; Sydney); Huub van Baar (researcher and writer, Amsterdam); Damian James Le Bas (writer, journalist, poet, and filmmaker, Essex) & Delaine Le Bas (artist, various locations across Europe); Zygmunt Bauman (social theorist, Leeds); Ethel Brooks (writer and researcher, New Jersey); Agnes Daróczi (curator and activist, Budapest); Tony Gatlif (film director, actor, composer, and producer, Algiers) & Cécile Kovacshazy (researcher and writer, Limoges) with Alex Lykidis (film theorist, New York); Ian Hancock (Roma linguist, historian, and political advocate, Austin); Sanja Ivekovic (artist, Zagreb); Tímea Junghaus (curator and cultural activist, Budapest); Regina Römhild (cultural anthropologist and curator, Berlin) & Bonaventure Soh Bejeng Ndikung (curator and writer, Berlin); Salman Rushdie (novelist and essayist, London and New York); and Mike Sell (theorist, Pittsburgh).